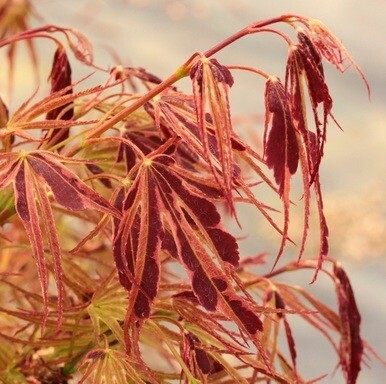 Acer palmatum 'Manyo-no-sato' is an unusual rare form of Japanese Maple, and also a very beautiful one. 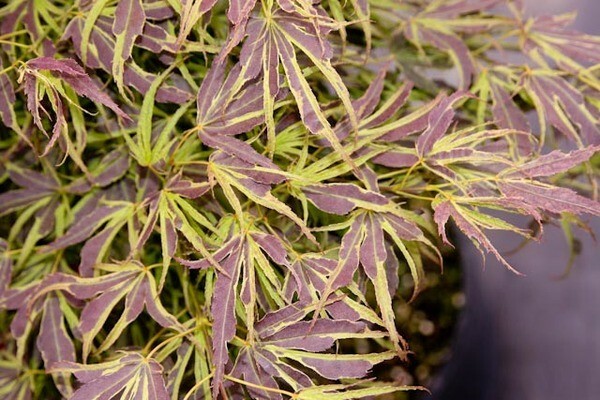 Manyo-no-sato possesses deep burgundy-purple foliage, with each leaf edged in an irregular creamy coloured margin as it first emerges each spring. 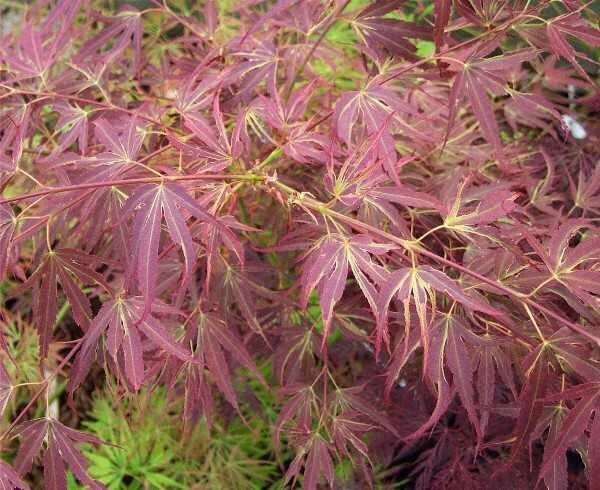 Dependent on the postitioning of the tree in your garden, this margin will be retained in to summer or fade to green, either way, it creates a unique bi-coloured effect. 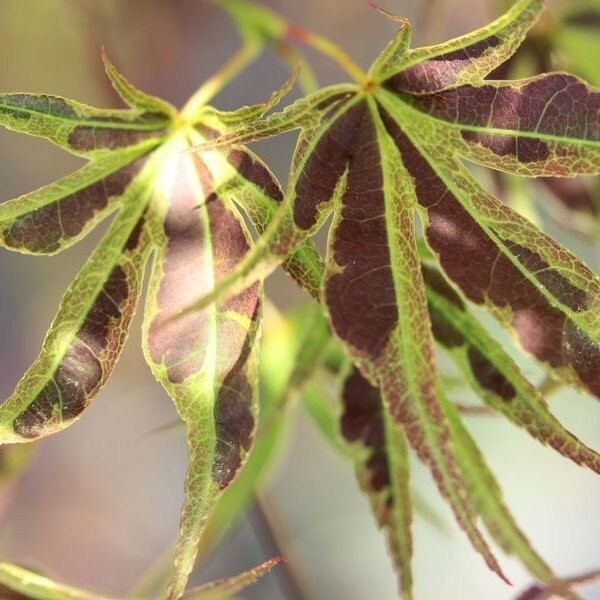 This Acer will do best in a lightly shade position, it required some sun to ensure the best variegation, but avoid the hot mid-day sun. 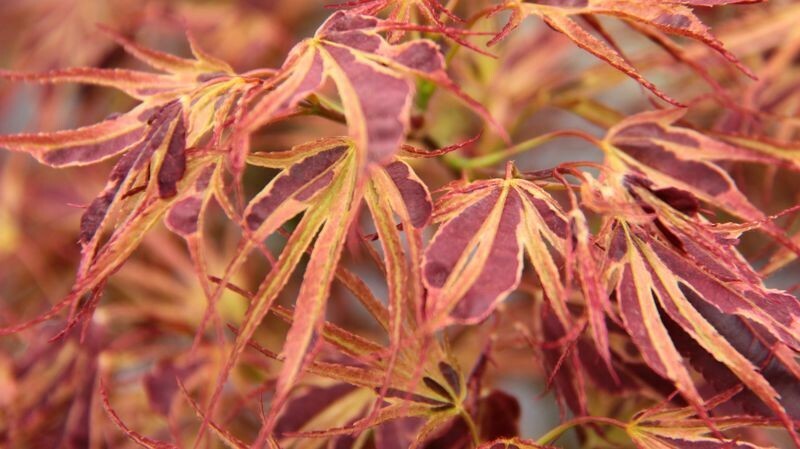 Like most Japanese Maples it is also a perfect specimen to grow in a larger planter, simply keep well fed and watered. Supplied in approx 3 litre containers.